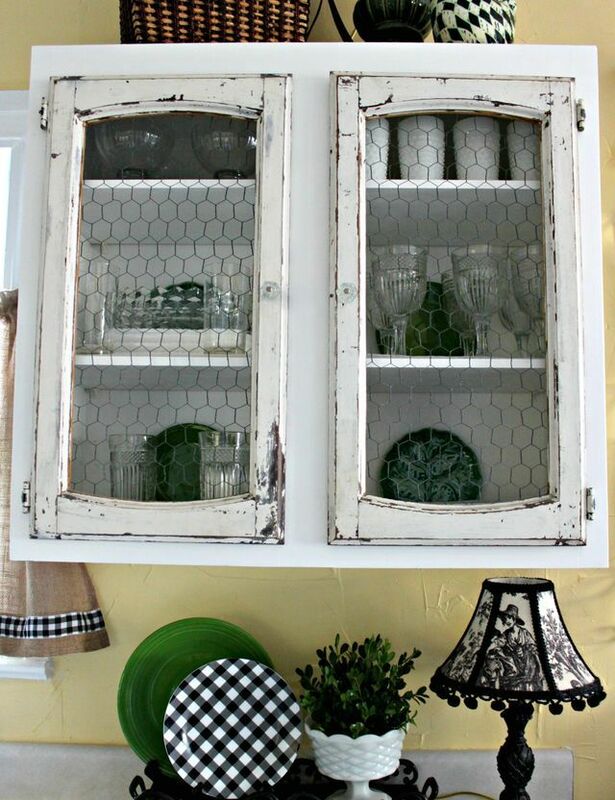 Of all materials that can be usedFor the interior decor of the house, wire mesh is mentioned extremely rarely. Indeed, it is difficult to imagine a stylish and beautiful application of an ordinary metal mesh, from which fences and fences are made. 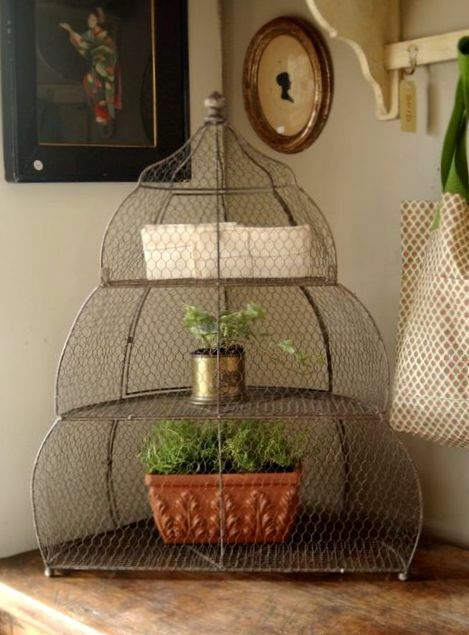 Nevertheless, the wire mesh in the interior with a predominance of country or vegetable styles, vintage, eclectic or steampunk will look interesting and original, adding an unusual zest to the situation in the room. 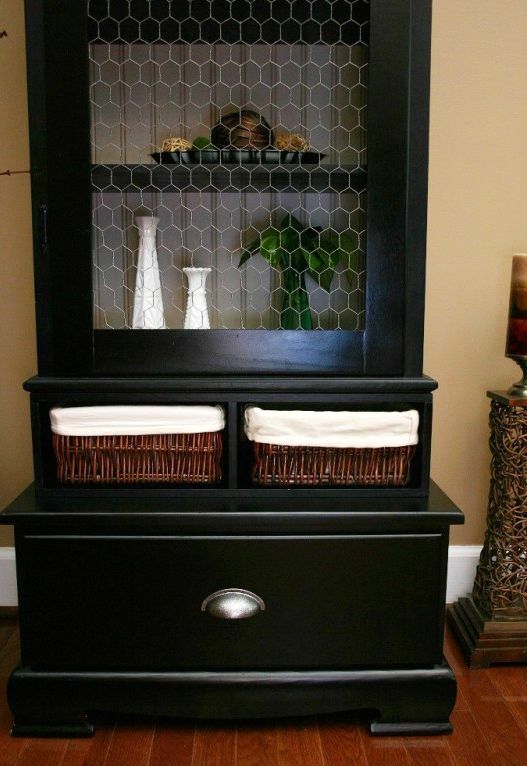 The most attractive application of the grid, in myLook - in the decor of cabinets, sideboards and chests of drawers. 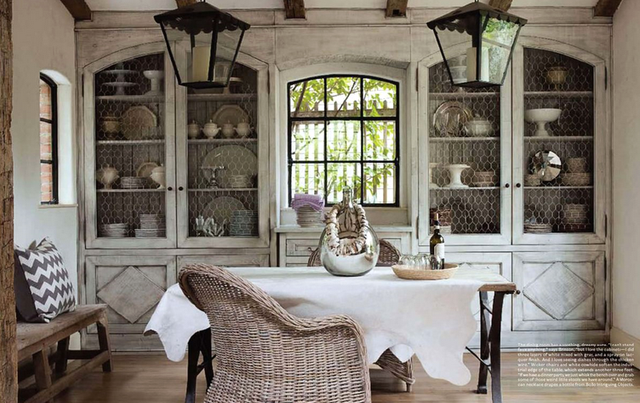 The use of wire instead of ordinary glasses in the doors gives the furniture a completely different character. 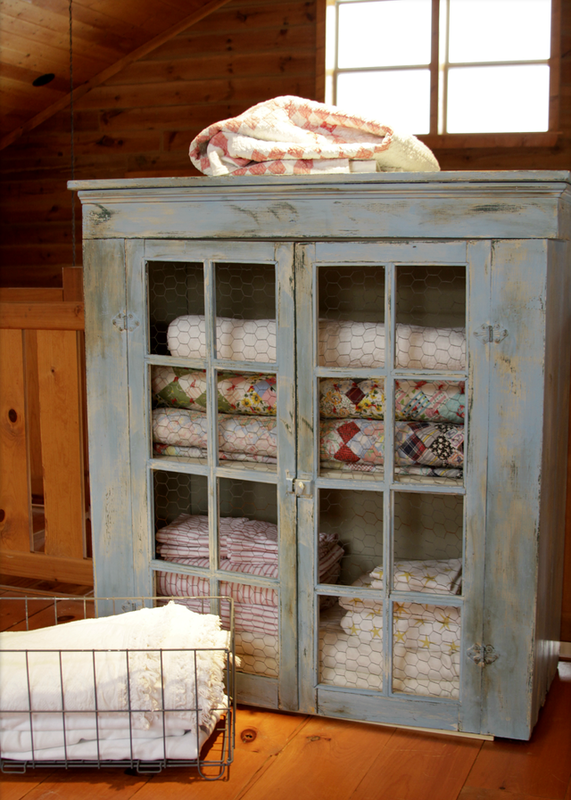 Thus, you can drastically change the old grandmother's sideboard or an old wardrobe, giving them a more modern or more rustic look. 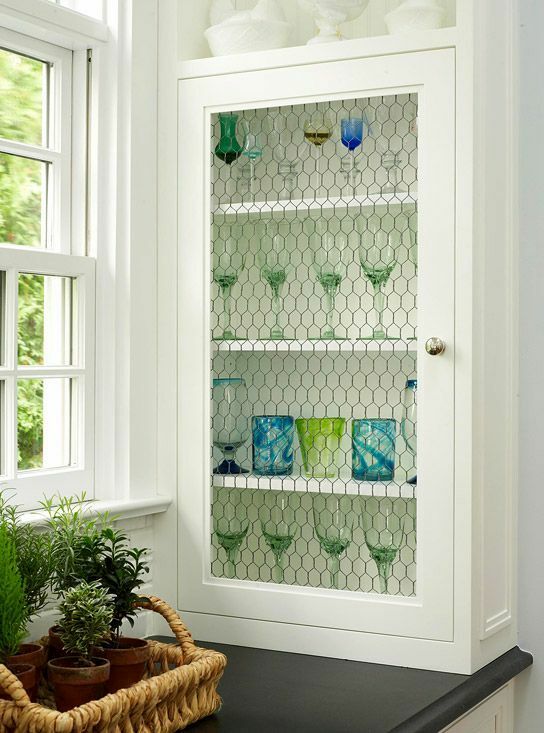 In the interior of the kitchen, dining room or living room, where there are cases with mesh doors, it is important to support the general theme with accessories made of metal, wood or the same mesh. 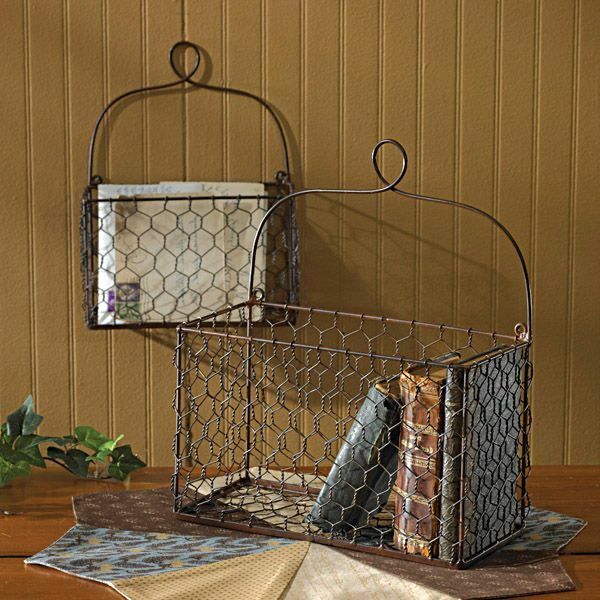 For example, to place in an obvious place original wire baskets for magazines, newspapers and other trifles. 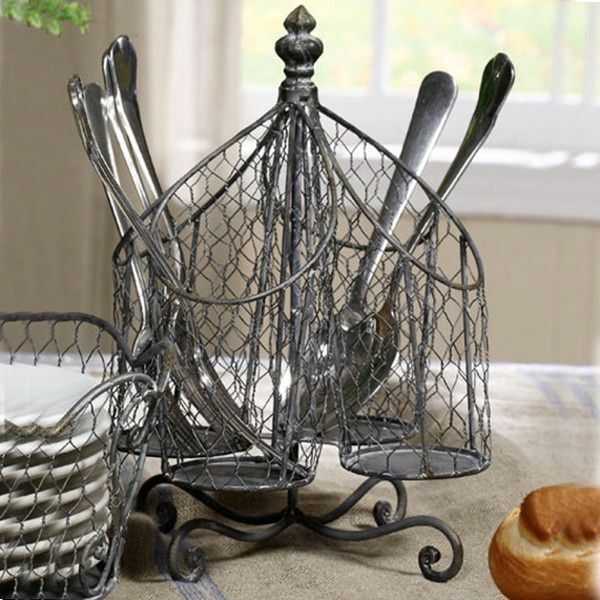 In the kitchen, smallAccents in the form of supports for cutlery, fruit baskets, hanging in a prominent place, metallic noises, sieves and colander. It is important to remember that wire mesh products should not be placed in close proximity to plates, especially gas stoves, in order to prevent heat and not burn. 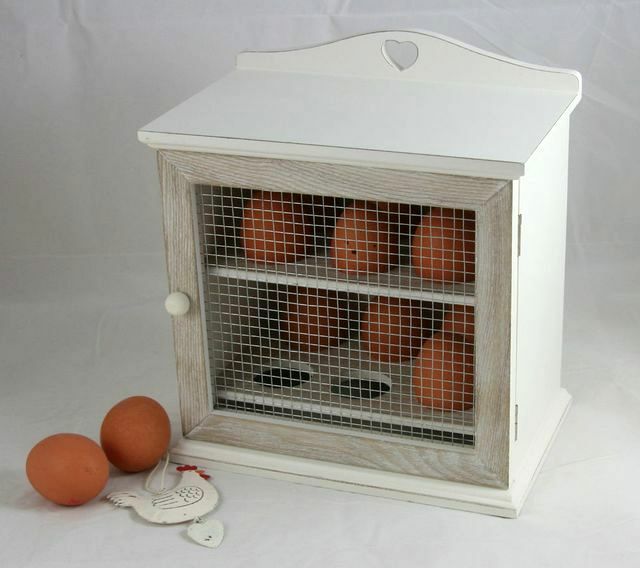 Although with modern electric hobs, which you can buy at http://bt.stylus.com.ua/, you can not think about it. 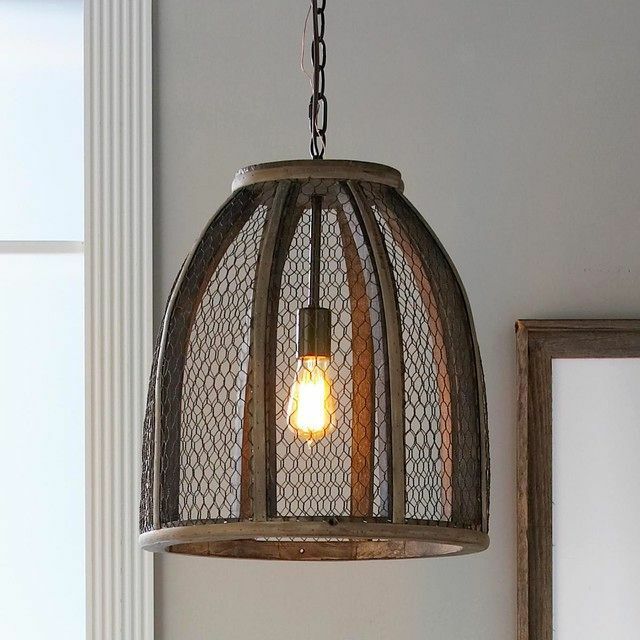 Even the ceiling lamp can be "dressed" in a stylish mesh shade! And so the wire mesh in the interior will beTo look harmoniously in any room. 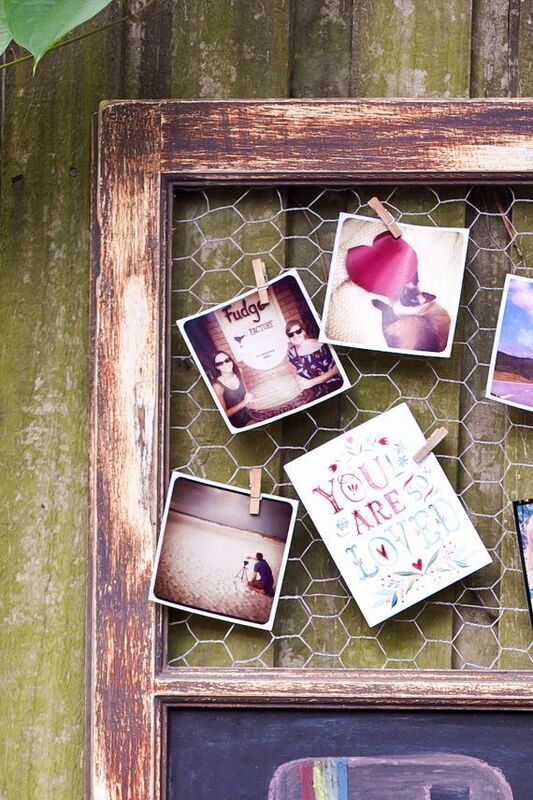 These are so-called memo boards, on which it is possible to attach memos, notes, photos, children's drawings and everything you want to have in view. 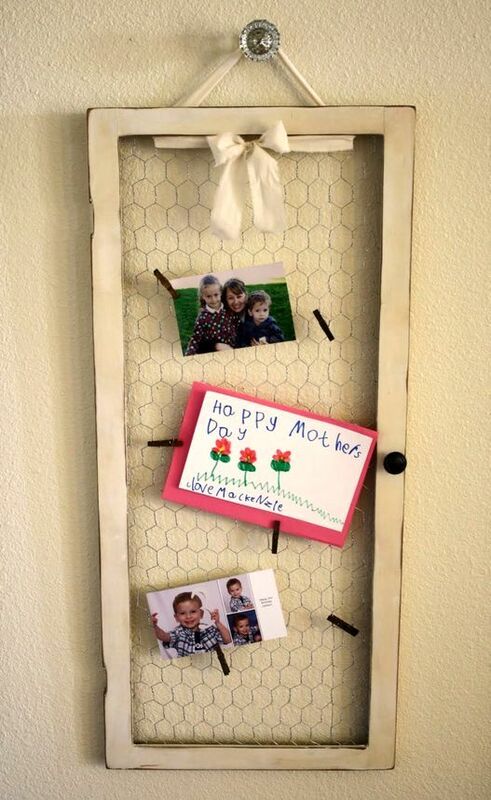 To make such a memo-board with your own hands is very simple! 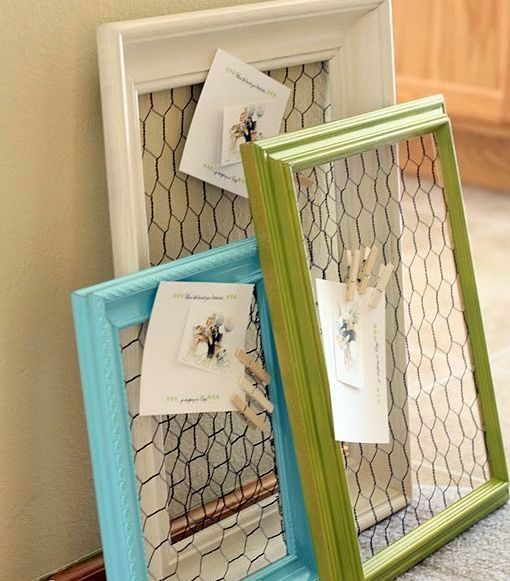 It is necessary to attach a stretched mesh to the wooden frame from the picture. Memos to the grid are attached with small clothespins.